First a collaboration with M.A.C and now this. The Simpsons is linking with Forever 21 to shill a capsule collection steeped in 90s codes. Of course, the label would look to the decade for inspiration, considering The Simpsons came of age (so to speak) in the 90s. 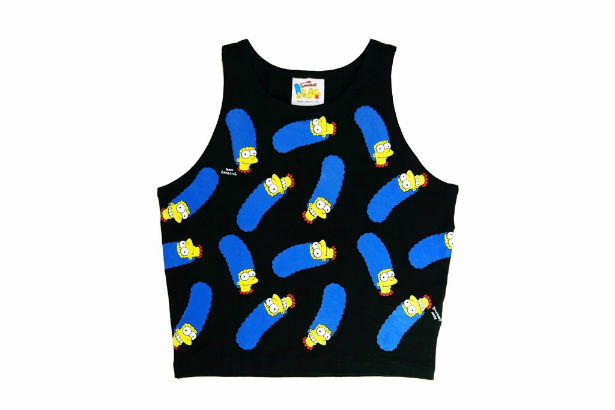 On tap are T-shirts, sweatshirts, crop tops and more, printed with the likenesses of Homer, Marge and the gang. The Simpsons has been airing for 25 years and, according to WWD, Fox is celebrating the series’ quarter-century run with a series of collaborations with M.A.C, Zara, Uniqlo and others. Of course, prices for the Forever 21 range are decidedly affordable. You can purchase pieces from the line for as little as $14.90 or as much as $22.90. Not bad on the ol’ wallet at all! The collaboration is expected to hit shelves this Thursday, so Simpsons fans (or folks with an itch for some serious 90s nostalgia) this is your time to shine.